Planned Parenthood tells Judy Blume: We are there! 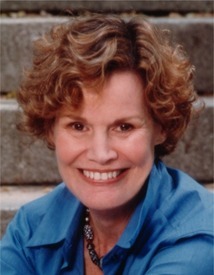 Planned Parenthood is mounting a campaign to support young people’s author Judy Blume. Blume has faced a barrage of hate mail and phone calls from anti-reproductive rights extremists after she wrote a letter about Mother’s Day for Planned Parenthood. Blume wrote a Mother’s Day letter and donation pitch for Planned Parenthood. She said, “I’m a mom, and I’m also a writer and an activist. Nothing has made me prouder than seeing my own children — and really, all young people — grow up to be healthy, educated, and in charge of their bodies and their lives. Blume has been a target of attacks before by far-right extremists. She won the “distinction” of being No. 2 on the American Library Association’s list of top 10 most frequently challenged authors from 1990 to 2004. “Challenged” means some individual or group filed a formal request to ban her books on public or school library shelves. Why? Because in her writing she discusses frankly and appropriately challenges children and young adults face growing up – including sexual relationships, supporters say. Among the books this award-winning author has written are, ‘Are You There God? It’s Me, Margaret’; ‘Blubber’; ‘Just as Long as We’re Together’; and the five book series about the ‘irrepressible’ Fudge. Whether it’s hate mail or banning books, such actions seek to limit freedom of speech, supporters say, and urge the public to stand up for Blume, mothers, families and freedom of speech, this Mother’s Day. Click here to send Blume a thank you note.